When it comes to writing a book today, crafters are in the driver’s seat. If you’re a national teacher, have tens of thousands of engaged online followers, or can prove that your audience will convert into sales, you’re book proposal is highly convincing to publishers. Of course, a strong idea that’s fresh and on-trend is important, too, but your marketing prowess is perhaps equally important today. Building a strong following is a lot of work. It typically takes years of daily effort to develop relationships with your followers. An authentic following is unique to you and not something that can be easily manufactured or replicated and that’s why it’s so valuable. Given the value you bring – the idea for the book, the ability to make the projects and write the manuscript, and the powerful marketing engine you’ve built – you’re in the position to drive the contract negotiations. It was always possible to negotiate a book contract, but I would argue that today the power is in your hands more than it’s ever been. Writing a craft book takes six months to a year of effort and during that time all the work is secret. Yet it’s vital to continue to nurture your audience throughout that period because when the book is done you’ll need them more than ever. Unless you’re independently wealthy you’ve got to get a good a deal in order to afford to write a book. 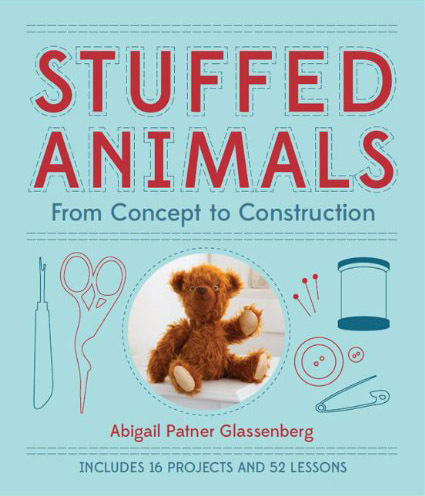 Publishing is a seller’s market for crafters right now. Use these five tips to ensure you’re getting what you should. If one publisher is interested another will be, too. Every so often a publisher will approach a potential author out of the blue. “Have you ever thought about writing a book?” they’ll say. What a flattering message to receive! Take their words as a signal. If one publisher is interested in your work, another is likely to be as well. If you would like to write a book then now is the time to pause and do some research. Make a trip to the bookstore so that you can examine the craft books currently on the market. Pull them off the shelves and look at the publication dates so you can focus on books published in the last 3-5 years. Look at the covers, the paper, the photography, the number of projects, and the amount of space the author has to share her vision. Make a pile of the books you like the best and note down their publishers. Rather than having a publisher choose you, you should choose the publisher. Most publishing houses have a page on their websites detailing how to submit a query. Submit to the ones that are at top of your list. I recently spoke with a publisher at one of the major craft publishing houses and she told me, “Nobody ever asks about this!” In every book contract there’s a clause that details the percentage of the net sale of each book that you, the author, will receive. If a book retails for $24.95 and sells to a distributor for 51% of that, or $12.72, what percentage of that amount will you actually get? Sometimes the royalty percentages are tiered; as the publisher earns back their upfront investment in your book you begin to get more money. The first book paid me a royalty of 10% on the wholesale price of each book. The second book had a tiered royalty arrangement so that I got 6% on the wholesale price of the first 12,500 copies sold and 7.5% thereafter. The third book paid me 10% of the retail price of the book (rather than wholesale), but the price of that book was half of the others. The royalty percentage is something you can negotiate, at least to some degree. Don’t be afraid to ask! Find out what the retail price of your book will be and the size of the first print run. Then calculate how much you will be able to make in total at various royalty percentages. Could you at least get 10% on the first 5,000 copies sold? Could they add a tier so that the next 5,000 would earn you a few percentage points more? What about if 15,000 copies sold – could you get eve more then? 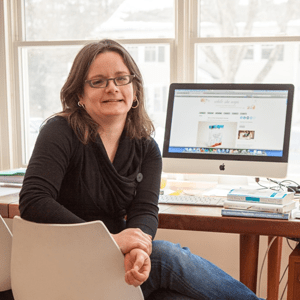 Susanne Woods, the publisher at Lucky Spool, is really proud to offer authors 30% on books that sell over 15,000 copies and she says she has many authors who have reached this point. I know this seems tedious and a bit boring, but these percentages more than anything else make a big difference in how much you will actually earn from the book you write. It’s hard to make writing a craft book into a financially viable exercise, but if you fail to negotiate this point it will likely be impossible. It costs a good deal of money to make a craft book and it’s helpful to think of the publisher like a venture capitalist. They are making a bet that your idea will sell and are fronting the money to make it happen. And the truth is that most craft books don’t sell all that many copies. It’s just not possible to predict with perfect accuracy how your book will do so it’s important to lock in your pay upfront with an advance. Otherwise you may end up earning little to nothing at all. Not all craft publishers will give you an advance, but many will. Offering an author an advance heightens the publisher’s upfront financial risk, but I strongly feel advances are a gesture of respect to authors and the businesses they’ve built. Advances are typically paid in three installments: at signing, when your editor approves the manuscript and it’s ready to go to the printer, and when the book is published. Get clear on what will happen if the publisher cancels the book while you’re still writing it (this does occur). You may be able to keep the first installment of the advance, although some publishers require you to pay it back. You should be able to keep any of the work that’s already been done including photography, illustrations, and edits. Spell out when you’ll get the rights back. A publisher should not own the copyright to your work. Instead, think of the publisher as a licensee. You’re granting them the right to publish your work for a period of time, but at some point that period should end. Make sure that the end point is reasonable. Typically there will be a date by which the copyright will revert as long as sales have dipped below a certain threshold. Getting your rights back is important for crafters who write project-based books. Often there’s one project in a book that becomes extremely popular. Once you get your rights back you can self-publish that project as a PDF or print pattern and continue to earn money from the effort you put into designing it all those years ago. Ask how your book is doing. Once your book is released the publisher will begin getting sales data. Beyond just looking over your royalty statements, ask to see the data. How is your book doing? 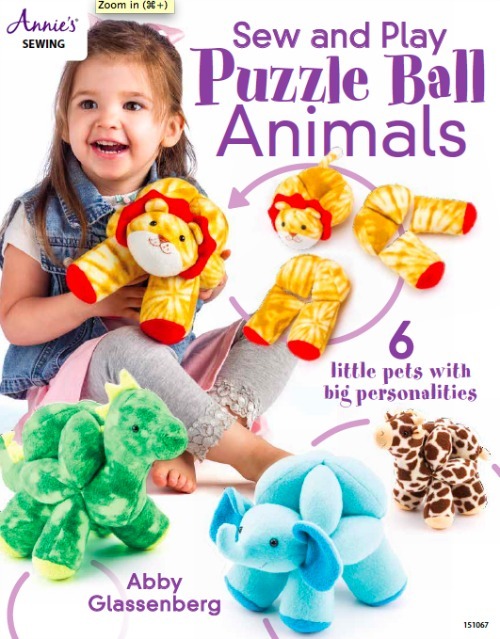 Was the publisher able to get it distributed into specialty sales channels like JoAnn and Michaels? Armed with this information you can work together with your publisher to more strategically to sell your book. Don’t be afraid to ask. It’s still worthwhile to write a craft book. The process will give you practice in creating a unified body of work and will teach you to refine your technical writing, plus you’ll get access to a team of editors, photographers, and designers to collaborate with. Your book will be distributed all over the country and the world. Imagine how proud your mom will be! Once the book is released you may feel, as I did, an increased sense of legitimacy as a designer. A book is a prestigious thing to have and can be a terrific calling card that opens doors to new opportunities so don’t shy away from writing one. Just make sure you’ve set yourself up for success. Thanks for this helpful article. What would you say about someone who has a great idea for a book, but is only starting to build a following? Would you recommend to wait to publish until you’ve built a following, even if it takes years? Or try to do it anyway at the outset, whether traditional or self publishing? I wouldn’t self-publish until you have a following because I think it would be hard to recoup your investment. I think if you’ve got a strong idea now, write a really good pitch and target it to the publishers that are the best fit. At the very least it’ll lead to some informative conversations that will help guide you as you grow. Thank you! I do think I have a solid idea so hoping someone will have a look. I appreciate all your tips about growing your email list too. A lot of inspiration here. Your other articles on self publishing are from 2013. 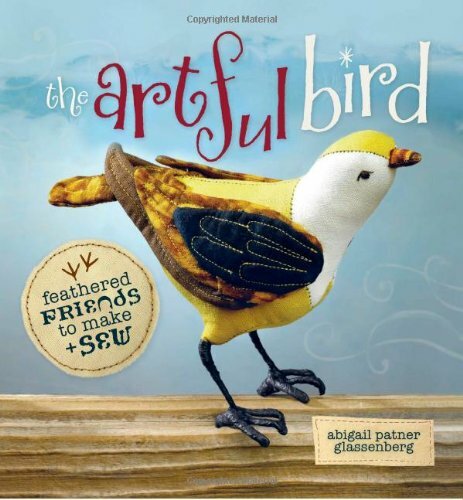 Do you have any current advice for self publishing a craft book? We have a good deal of solid information about self-publishing over at Craft Industry Alliance including recent experiences from designers who have done it with great success. Thank you so much. Will have to join. Great article. I love the remaining craft book publishers out there. I buy their books when they interest me. However, I firmly decided to self publish and I haven’t regretted it. I found wonderful freelancers (photos, editing and graphic design). I recouped my investment on Book #1 in 6 months. Far faster than with a traditional publisher. I’m working on more marketing promotions for book #2 in 2018 and rereleasing individual patterns with updates from book #1. Self publishing isn’t easy or for everyone. But it’s a viable alternative for those with smaller but active followings. Hi Abby, thanks for an interesting and honest article. I’m pleased you talked about royalties and advances. 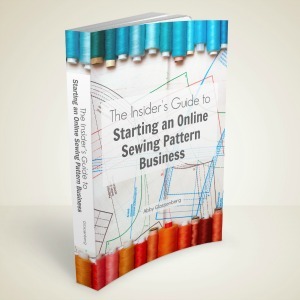 I self-published a dressmaking book in September this year. Before deciding to self publish, I was offered a contract by an American publisher (I’m in Australia). I asked a lawyer to look at for me and I’m so glad I did. The royalty arrangement was 10% of the wholesale price. This was halved for paperback editions, and halved again for books sold outside of the USA. Therefore a book retailing for $80 could net the author $1. The royalties were graduated though; 10% for 1-10K copies, 12.5% for 10K-30K and 15% for 30K+. They didn’t do advances. There were some other clauses that could affect future earnings, for example the author had to give the publisher first right of refusal for the next 2 books on the same subject, on terms identical to the first contract. I re-negotiated about half of the clauses highlighted by the lawyer, but there were still a few sticking points. Then I googled: “Australian authors who published with this publisher”, and ended up having an excellent and helpful talk to a man who’d published with them. Self publishing turned out to be the right thing for my book. I suspect it would have been the same amount of work whether I self-published or had a publisher (since I had to format the book either way), and I enjoyed having control of not only my finances, but also making the book the kind of book I wanted it to be. You raise so many good points here, Liz. First and foremost I think it’s such a good idea to get in touch with some authors who have worked with a publisher you’re considering and talk with them about their experience. Did the publisher honor their vision for the book (were they happy with the cover and title, the way the book looks and feels), were they good marketing partners, and did the author find the experience to be worthwhile financially and otherwise. And second, first right of refusal is something I didn’t address here but perhaps should have. It seems to be a fairly standard clause in craft book contracts. I know it was in mine.